Our custom drinking / pint glasses glasses make great gifts for his man cave or as a wedding gift or even for the wedding party in the wedding theme/colors! And each one is personalized! Why not just get some for yourself? After all, these custom drinking glasses are sure to make a statement on any table. The glass is 5.5 inches tall and features a custom wrap around design with a little over inch opening in the back to show the amount of liquid in the cup. The top of the glass has a diameter of 3.5 inches, the base of glass has a diameter of 2.25 inches. The glasses are dishwasher safe. Each glass is hand printed; so no two glasses will be exactly alike. There will be slight printing and color variation from glass to glass. The most variation will be in the fading of the back edges. 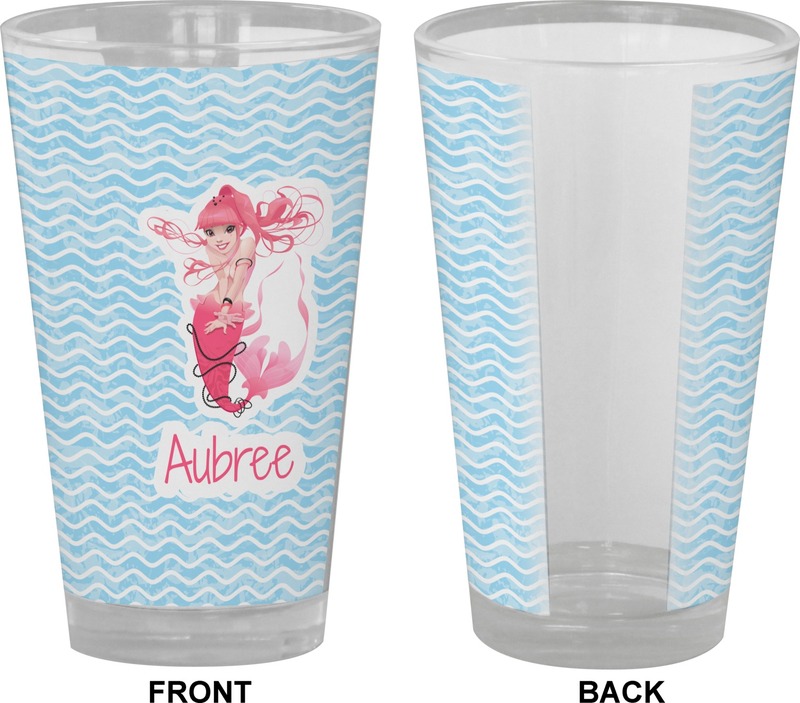 You can create a one of kind look, just for you by personalizing one of our numerous designs. You pick the design, the color and the font. You can put your name, monogram, or any other text of your choosing. Was EXCITED to have her own glass. I actually bought this as a gift in a secret santa deal. The girl I bought it for loves leopard print anything and this was something unique and different for her. She loved it and she says her daughters can't steal it from her.